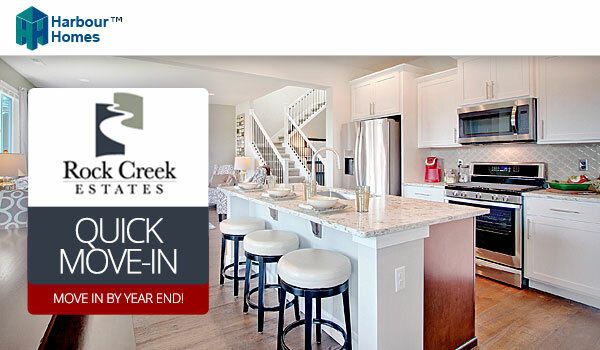 There is still a final opportunity to live at Rock Creek Estates in Marysville! This established neighborhood boasts a quick commute to Highway 9 and easy access to the best of what north Puget Sound has to offer. Our popular 2273 Plan on home site 41 is available to move into by the holidays! Fencing, blinds, stainless steel Whirlpool appliances, and a garage door opener with keyless entry are all included! Visit Rock Creek Estates today for a tour! Rock Creek Estates is open daily from 11am to 5pm.